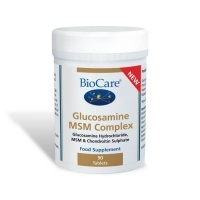 Solgar Glucosamine MSM Complex Tabs (Shellfish-free). This shellfish-free formulation provides the raw material for the production of cartilage and collagen. Tableted with these natural ingredients: microcrystalline cellulose, cellulose gum, hydroxypropylmethyl cellulose, silicon dioxide, vegetable magnesium stearate, manganese and vegetable glycerin. *Long-term intake of this amount of manganese may lead to muscle pain and fatigue. 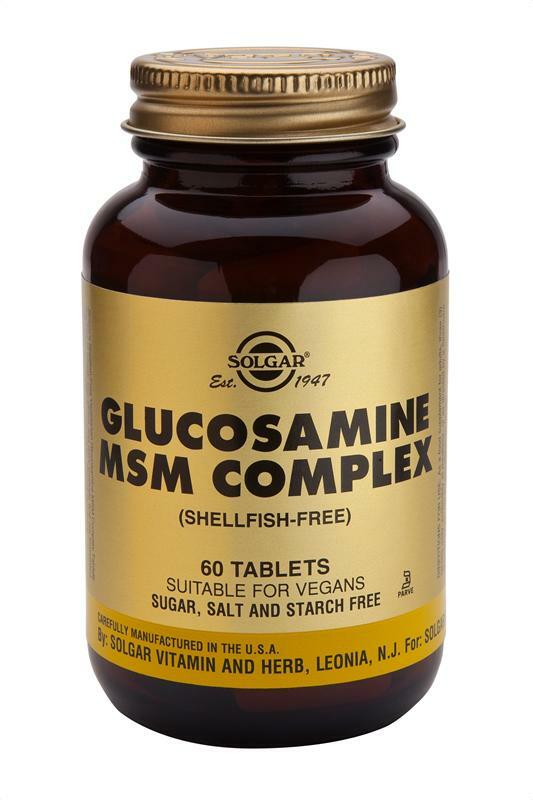 Solgar's Shellfish-Free Vegetarian Glucosamine MSM Complex Tablets are free of wheat, soy and dairy products and are formulated without the use of artificial preservatives, flavours or colours.